Hello friends! June is here already and it's time for a new release with Elle's Studio! 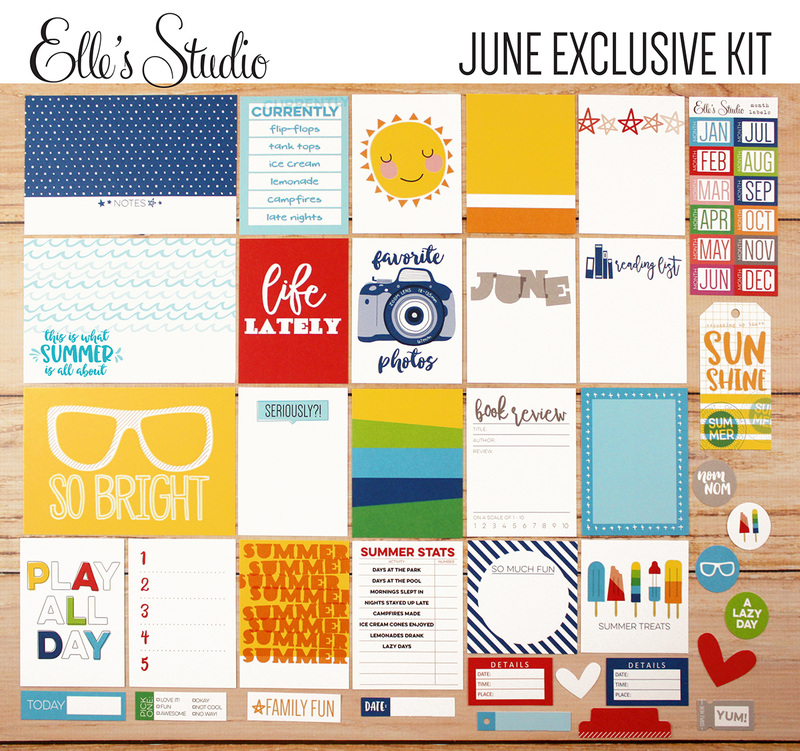 This one is extra special because it includes the June Exclusive Kit AND the new Sunny Days collection! 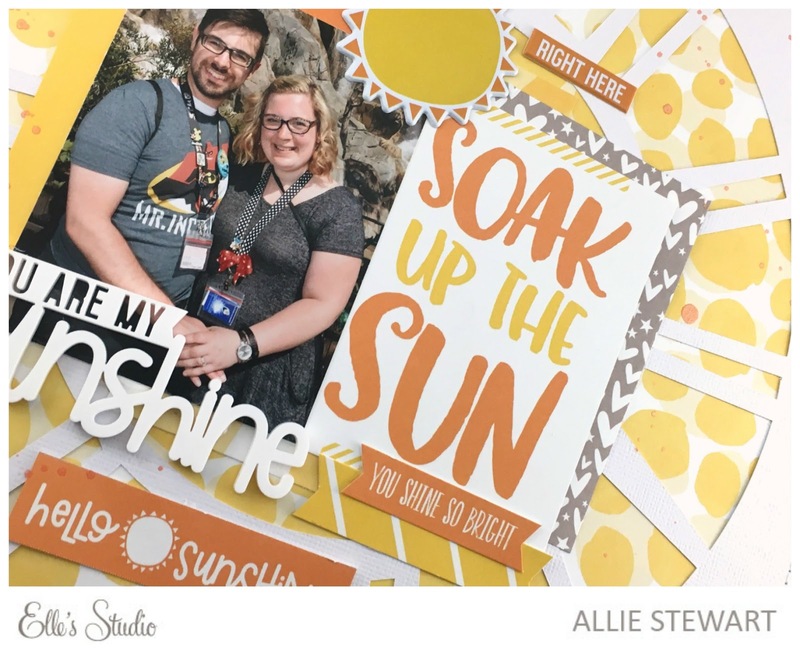 I created two layouts using the Sunny Days collection, along with some items from the June Kit and exclusive extras. 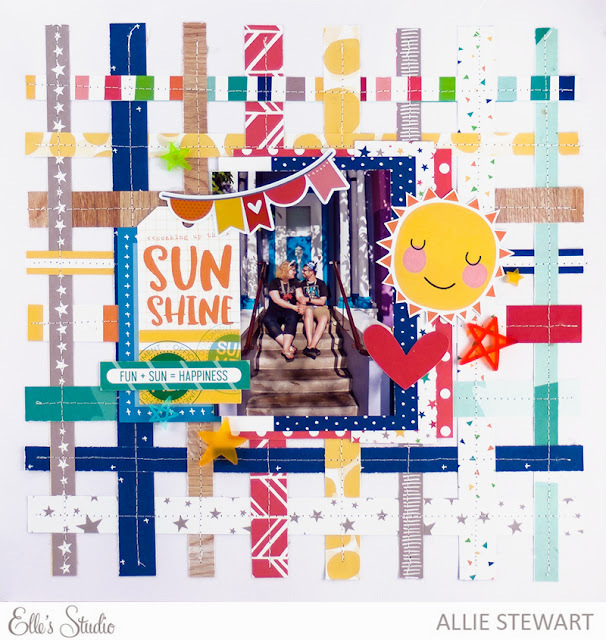 For my first layout, I weaved 1/2" and 3/4" strips and stitched them down. I was going for a plaid look! 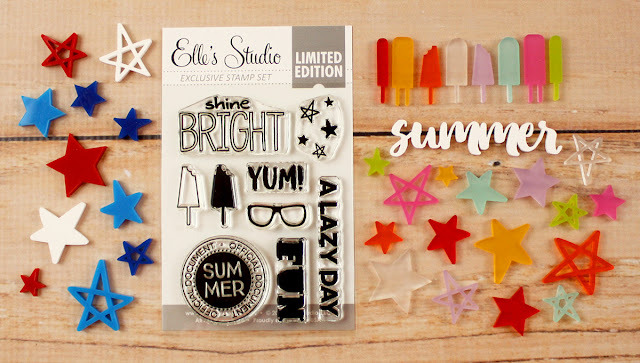 My favorite part of this layout are the puffy stickers and acrylic stars! So pretty! 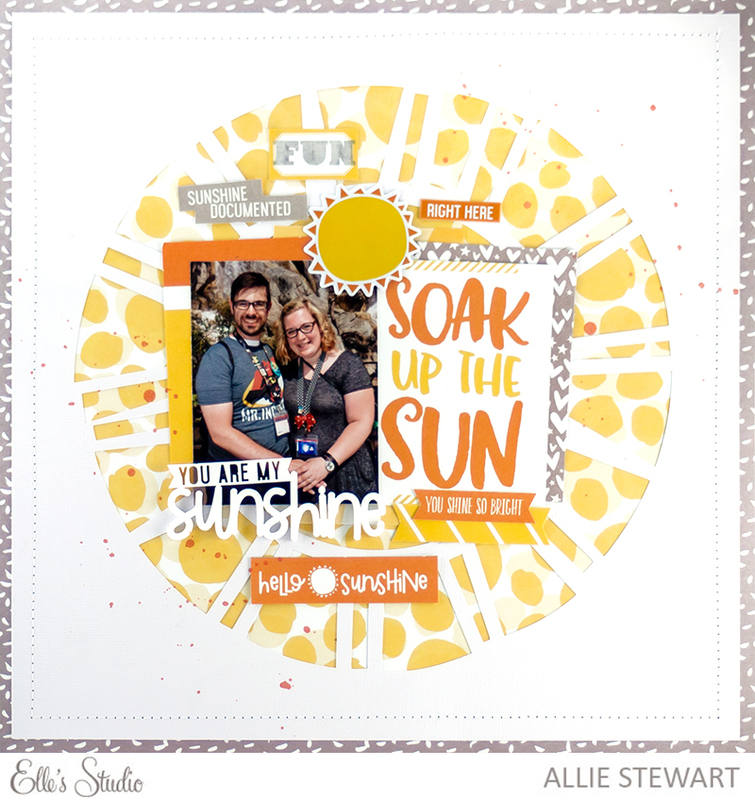 For my second layout, I used my Cameo to cut out a sun shape. I backed it with yellow paper, and added as many yellow, orange, and grey embellishments that would fit!! 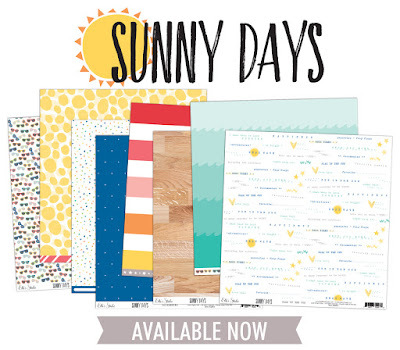 I love all the sunshine themed pieces! 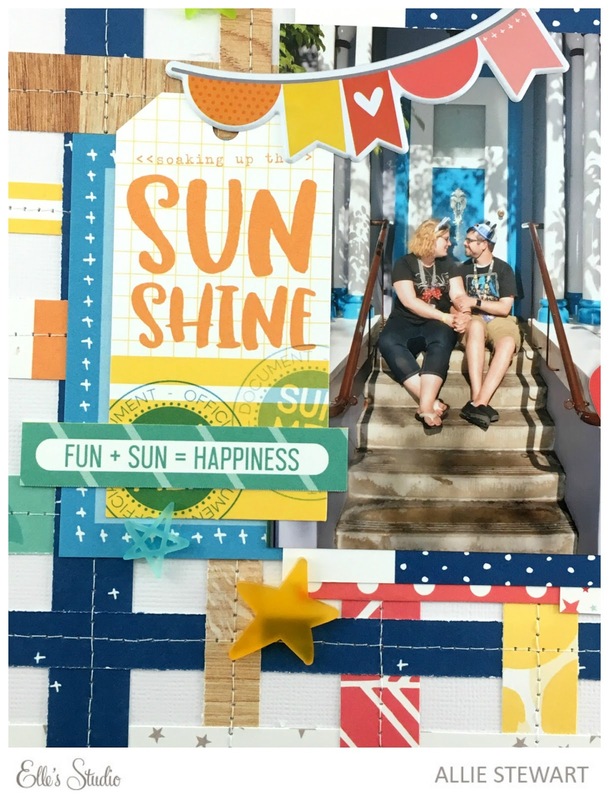 The June kit is super great and it's making me extra excited for Summer! Stop by the shop to check out all these fun new items, and don't forget to see what the other design team members have created in the Inspiration Gallery!